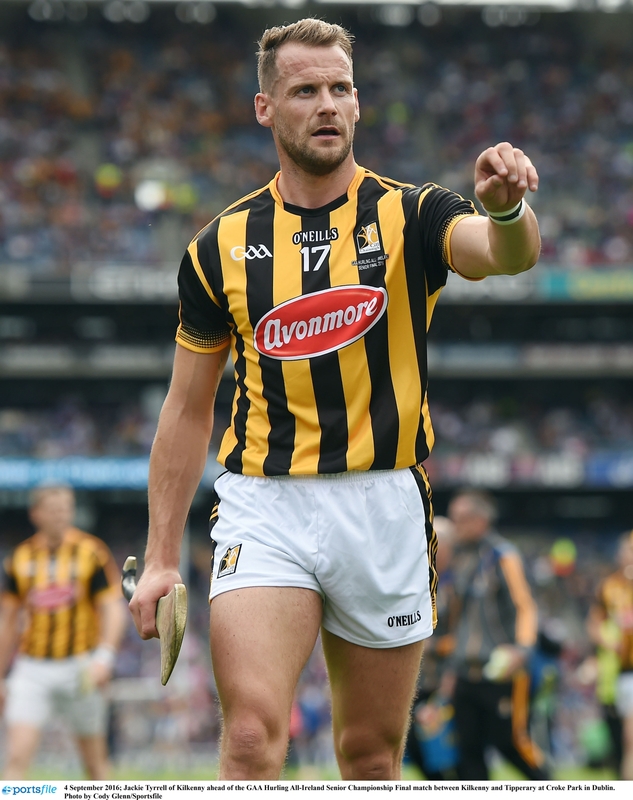 The glittering career of one of Kilkenny’s greatest hurlers will be brought to television screens across the country next week. Jackie Tyrrell, a nine-time senior All-Ireland winner with the Cats, will be the first star featured in the new series of TG4’s Laochra Gael series. Jackie was recognised as one of the best defenders that ever played the game. But for a long period Jackie’s own lack of confidence was crippling him, even as he was captaining his county to glory. This programme explores how this affected him as he was the master on the field. It also explores the depths of that self doubt and how he finally overcame it after meeting a man who would change his whole attitude to life and sport. It follows Tyrrell’s journey from self-doubt to all conquering defender and fashion icon. Jackie’s story is told through the eyes of his proud sisters Emer and Sarah, former Kilkenny team-mate Tommy Walsh, arch-rival and former Tipperary forward Eoin Kelly. Also featured are the man who changed his whole attitude to life and sport, Br Damien Brennan, and broadcaster Damian Lawlor. Now in its 17th season, the series follows last year’s new hour-long format, bringing each player’s personal stories to screen. The series features six players with genuine star quality and reveals deeper, fresh and sometimes unexpected insights into the lives of these icons. While their sporting careers continue to provide the backdrop to the story, the series travels well beyond the four white lines. Gripping personal storylines will compel viewers to travel towards territory unique to the GAA television landscape. Along with Jackie Tyrrell this new season’s GAA legends also includes Seamus Darby, the man who scored the most famous goal in the history of the GAA. The story of a trailblazer in women’s sport, Rena Buckley, is also told. The series continues with Dublin footballer Kieran Duff, the darling of Hill 16 but subject of much controversy in his playing career and Limerick’s Andrew O’Shaughnessy, an extraordinary underage talent whose career was cut short by Multiple Sclerosis. The series concludes with the story of Kerry’s Colm Cooper, a once-in-a-generation talent who defied convention by showing that Gaelic Football does not have to be a big man’s game. The new Laochra Gael season will air on TG4 at 9.30pm on Wednesdays from February 20, with a repeat showing on Friday nights. The series is produced by NemetonTV, the independent production company from Ring in the Waterford Gaeltacht which has produced much of TG4’s acclaimed sports coverage. The series is produced by Kilkennyman Hugh Walsh.